Instead of increasing the volume on your headphones to block outside noise, save your ears with Cowin E8 Noise-Cancelling Bluetooth Headphones. The innovative Active Noise Cancellation technology tunes out extraneous noise so you can listen to new music or podcasts without interruption. The headphones are on sale for over 30% off today. Enjoy a comfortable fit with rotating ear cups that mold to your specific ear shape and size. Whether you’re walking down a busy street or riding a crowded subway, listen to music for 20 hours on a single charge. In comparison to the Cowin E8 Noise-Cancelling Bluetooth Headphones, Apple’s Airpods last for five hours on a single charge. From the regular price of $199.99, save $65 for a sale price of $134.99. The headphones also allow you to make calls with high definition audio, a voice optimized microphone, and built-in controls. 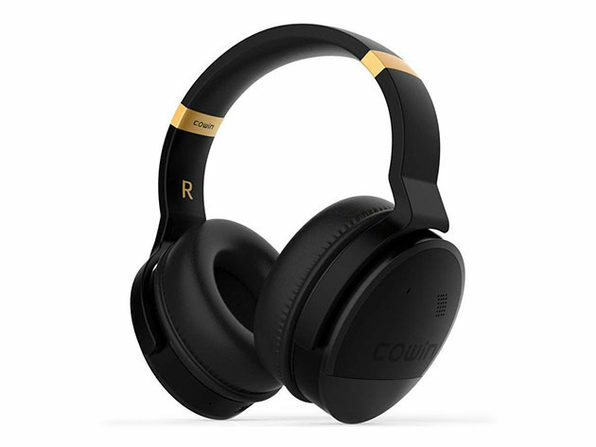 For clear sound with advanced noise cancellation technology, buy the Cowin E8 Noise-Cancelling Bluetooth Headphones for $134.99 in the Daily Caller shop today.